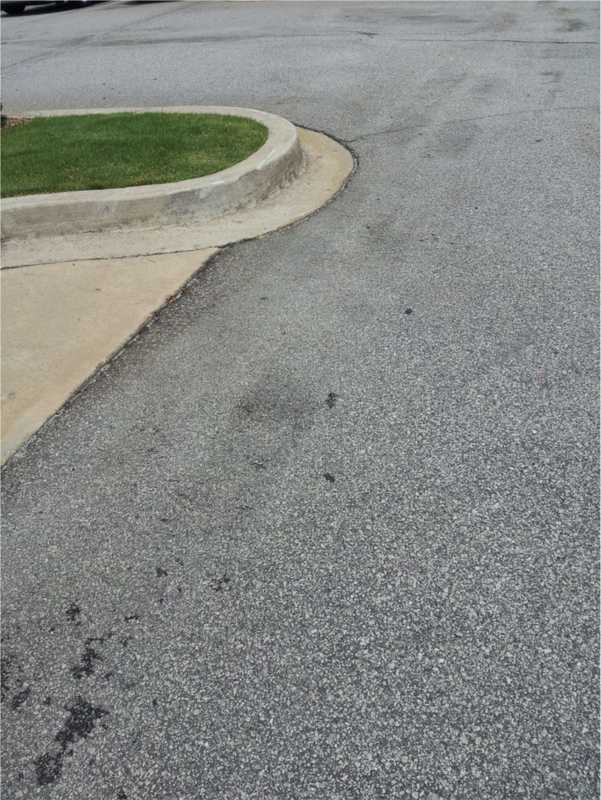 Oil stains of any kind on asphalt or roadways can be an ugly mess. 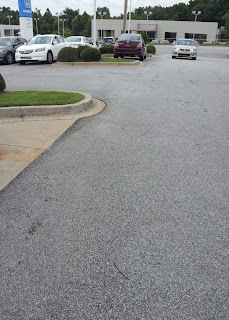 They can leave the pavement with a dark stain that will look bad for years! EATOILS™ BT200™ actually fades away the stains in just a few weeks. After the initial cleaning and brushing with a 'street broom', at 5:1 (5 parts water to 1 part BT200™), then rinse to remove discoloration and 'free oil' (if you can see a rainbow of oil products on the surface when rinsing you still have 'free oil' and should re-apply until the rainbow disappears) - capture all rinse water and dispose via sanitary drain. Then follow up with weekly spraying of the stain with a 5:1 mixture - do not rinse. These are the instructions to get results like these. Here's an example of one of the worst hydraulic spills we've seen, as documented by one of our clients. Hydraulic oil spilled on asphalt several weeks after spill - as at April 10, 2013. 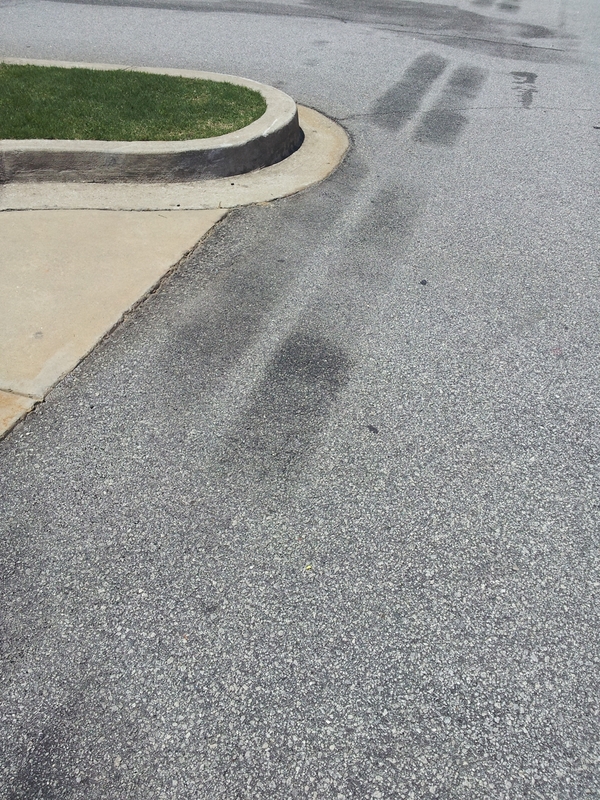 Keith Drew of Renew Crew of Greenville, in Greenville, SC, was challenged with a really bad hydraulic oil stain at the local Honda dealership. Keith and his crew were called in to try to make the problem go away. Keith called us to see how our EATOILS™ BT200™ could help to remove the stain. We gave him the tools he needed to do the job and this is his feedback - Here's what he wrote to us on May 15th. 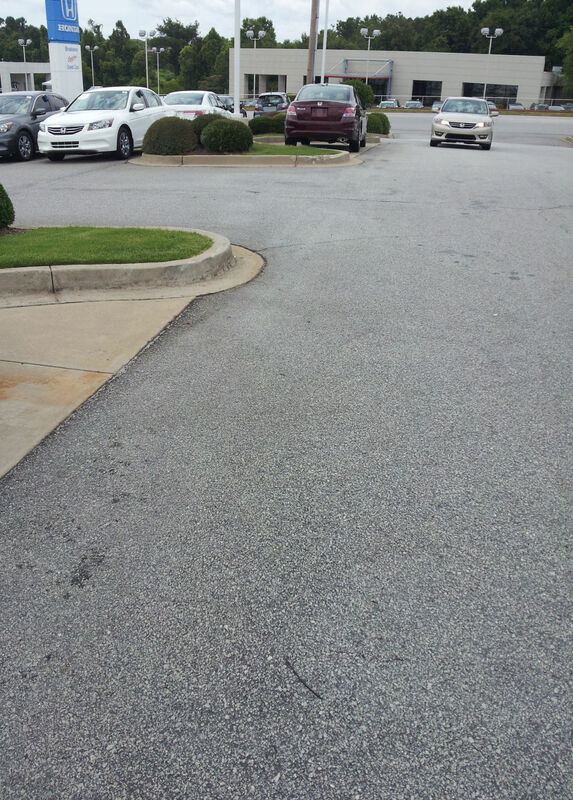 "As you can see this spill happened at a Honda Dealership in Greenville, SC. They were taking a delivery of new cars from a auto transporter, when the transporter blew a hydraulic line. Obviously the hydraulic oil spewed everywhere and they were unable to move the transporter so it continued spilling unabated for a while. 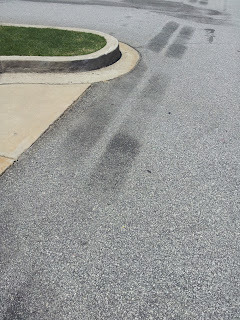 The dealership went back and forth with the transporter company for several weeks before calling us and even threatened to sue if the spill was not cleaned up or the lot repaved. The transport company called us to clean up the spill - and we told them that hydraulic oil on asphalt is one of the hardest spills to clean up - especially a month after the spill occurred. So, we told them we would not be able to help them to clean up the spill. They begged us to at least try and after researching your product(EATOILS™ BT200™), we told them we would try but would not guarantee any type of result. Their answer was that if we tried and failed, they were really no worse off and would have to deal with it a different way. They felt our charge of $2,500 was worth at least trying - and a relatively small amount of money in the grand scheme. So far the results have shown gradual improvement, although the client recognizes there is still a way to go. 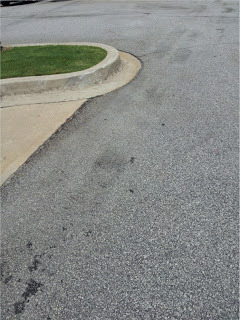 I go weekly to spray with BT200™ solution and always take a picture of the same spot so we can document the difference." Here's Drew's comment from June 3, 2013. "I think this is truly amazing! I was very skeptical when we began this process but I have to say I’m a true believer now. I think maybe one or two more applications and we'll be done!!!" Here's Drew's final comment from June 19, 2013, "The final pictures …. There is some slight discoloration but that is just because it is wet. We had a rain shower earlier and that is residual rain. Essentially the oil stains are gone!" Thanks Drew for documenting the progress. So many people are hesitant to believe that our BT200™ actually works to remove oil stains from asphalt - but here's the photographic proof - the stain has faded back completely without any harmful effect on the pavement. As Keith says, use BT200™ and you won't even know there was a spill. For more information about this product or to purchase online click here - How about ordering some today?